German Sebastian Vettel cruised to victory to take his third Belgian Grand Prix at Spa-Francorchamps on Sunday. After nipping ahead of championship rival Lewis Hamilton in the first straight, the Ferrari driver delivered a commanding performance to win by 11 seconds. Hamilton, who had been in pole position, said in a post-race interview, “I did everything I could. He drove past me like I wasn't even there on the straight.” The British Mercedes driver now sees his lead reduced to 17 points in the driver standings, while Mercedes top Ferrari by 15 points. Dutch driver Max Verstappen made a third place podium finish for Red Bull, while Belgian Stoffel Vandoorne in his McLaren car (pictured) finished 15th to the cheers of his home crowd. 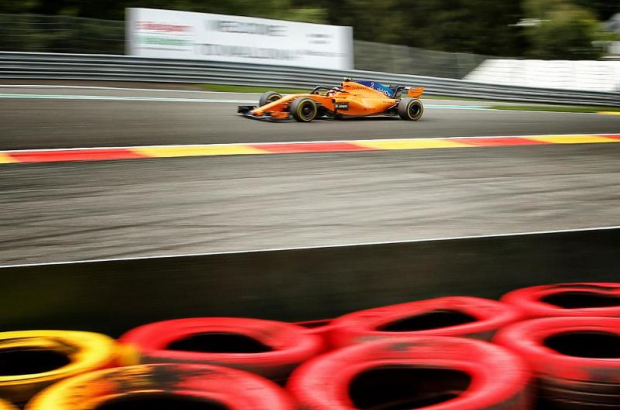 If the race was largely without drama – rare for the notoriously demanding circuit – a spectacular crash seconds after the start resulted in a premature end for Hulkenberg, Alonso and Leclerc. Hulkenberg’s wheels locked as he braked for the first bend and he shunted into Alonso’s car, which flew into the air and off the circuit, taking Leclerc out in the process. Fortunately, all three drivers walked away unscathed.